Need a break from turkey? Yeah, I love it but even scrounges need variety. No recipe reference today. I made this one up. Spray a frying pan with food release. Heat the pan to medium. Sprinkle chops with pork chop seasoning (see www.penzeys.com). Brown chops 4 minutes per side. 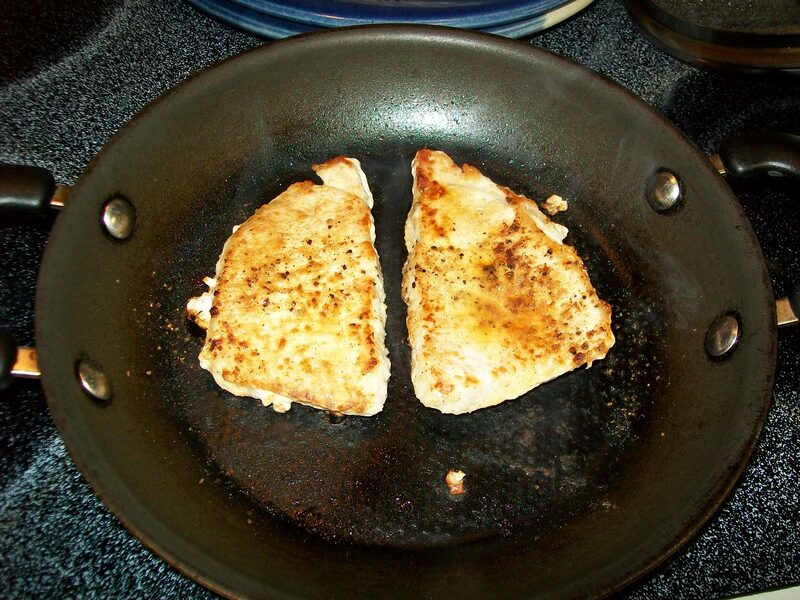 Reduce heat to medium-low; remove pork chops from pan. Cover chops and let rest (I use one of the dinner plates and cover with the frying pan lid). Add the port, cherries, and balsamic vinegar (if using) to the pan, scraping up the browned bits. 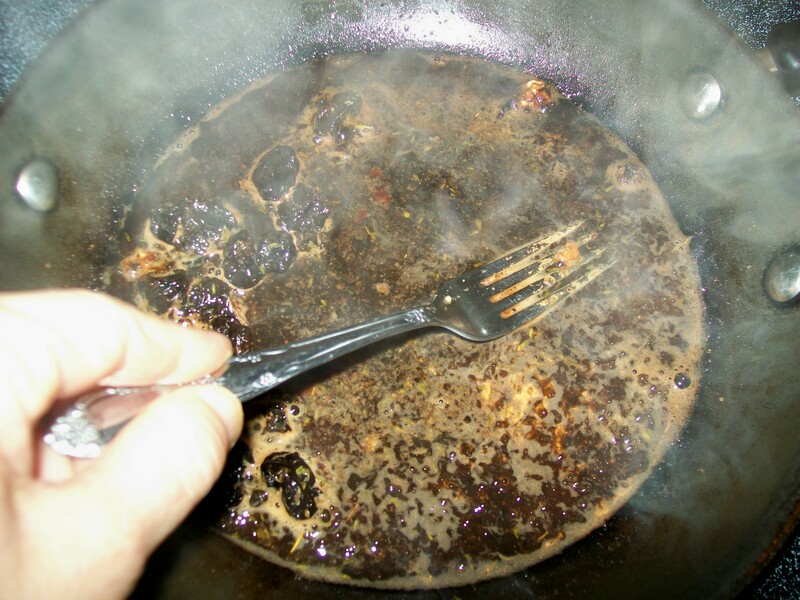 Adjust heat as needed; the liquids should bubble slightly but not so fast everything evaporates. Remove the pan from the heat if necessary. Allow the liquids to cook to a syrupy consistency. Turn off heat and get your silicone spatula ready. Uncover and divide chops one per plate. Scrape the sauce mixture over the chops. You can be fancy and “nap” the sauce or just scrape it out. Tastes the same either way. Serves two; ingredients can be adjusted for the number of people you’re serving. For this meal we had baked sweet potatoes, broccoli, and french bread. Red wine to drink. I’m not a big fan of gadgets. A few simple tools work just fine. Learn to use your hands (washed) too. After I originally commented I clicked the -Notify me when new feedback are added- checkbox and now every time a remark is added I get four emails with the same comment. Is there any way you may take away me from that service? Thanks! The only suggestion I have is to uncheck the box about notifying when feedback/comments are added. I had a similar experience with another site; the blogger’s comments I wanted to read, not everyone else. There does not seem a way around it.